Watching a monologue performance in the open night, a journey into a realm of dreaming and hope. 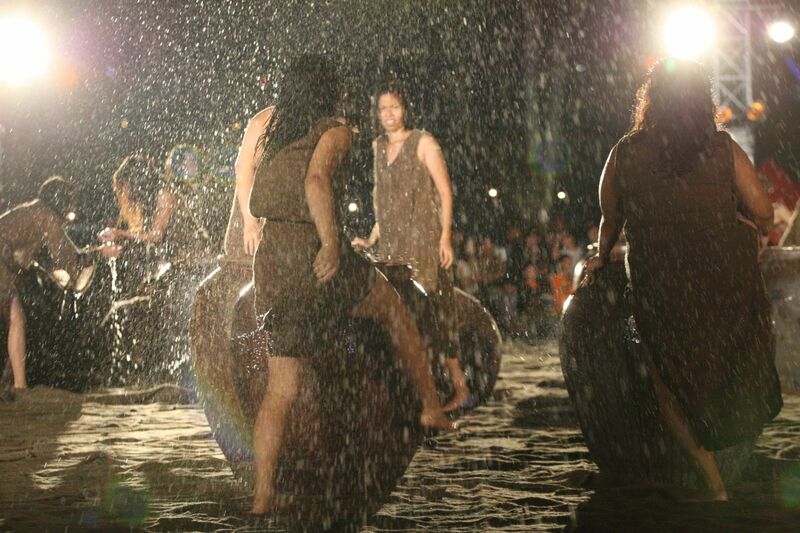 The Dream Country – A Lost Monologue was inspired by Dream Country, a monologue written by Malaysian playwright Leow Puay Tin, the dance is about birth, life and death. While the monologue is not lost, it lives on in the dance. With 35 performers and 35 urns, they were engaged in their own process of discovery, finding their own monologue, their stories and journeys. 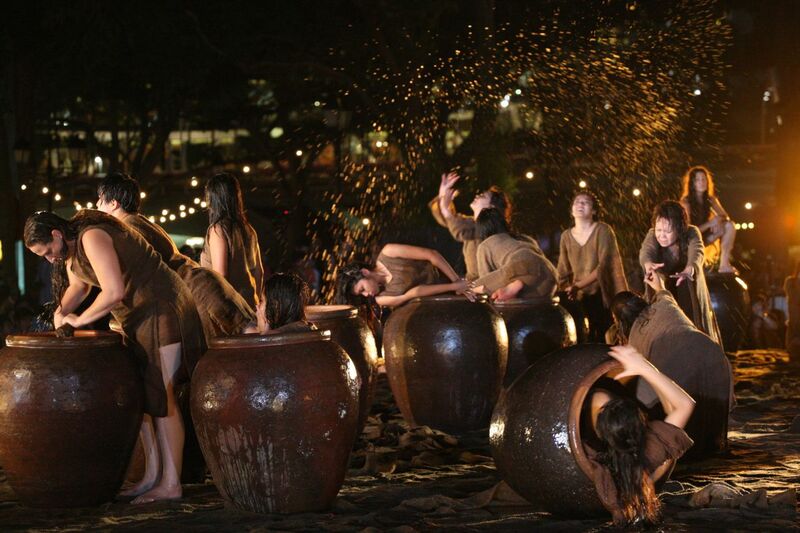 In their remarkable monologue performance in the outdoors at the Esplanade Park, with the beautiful Singapore’s modern skyline as a backdrop, we were brought into the performers world together to dream and discover our own stories, journeys and monologue. The performance in monologue was rich and invoking, mesmerising and intriguing. The thoughts, feelings and emotions inside us watching them in action, in search of of our own. If you like to know more about the Mastermind behind Dream Country – A Lost Monologue, they can be found here on the Singapore Arts Festival 2012 – Dream Country – A Lost Monologue event page. 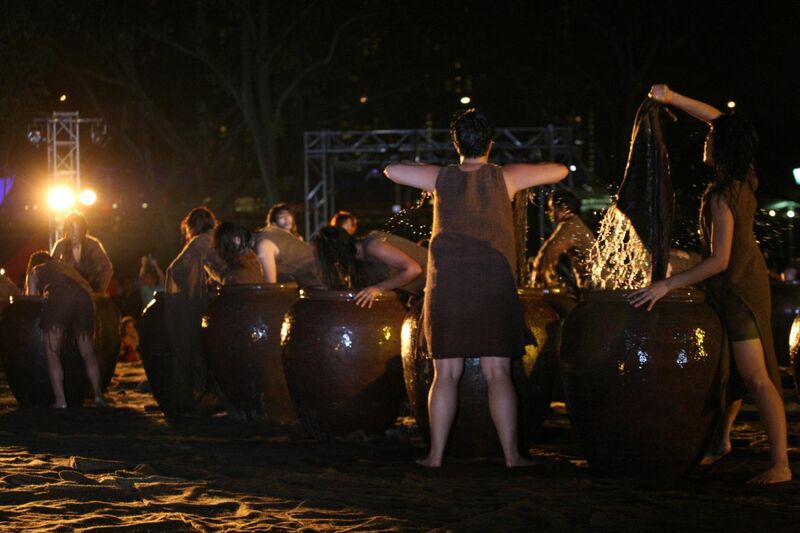 Upon the end of the Lost Monologue, a warm and rousing applause was awarded to the remarkable performers who brought to all of us watching a memorable outdoor arts performance at the Singapore Arts Festival 2012. Check out my photographs of Dream Country – A Lost Monologue on Flickr!